From the Ewell Bypass (A24) take the B2200 towards Ewell Village. 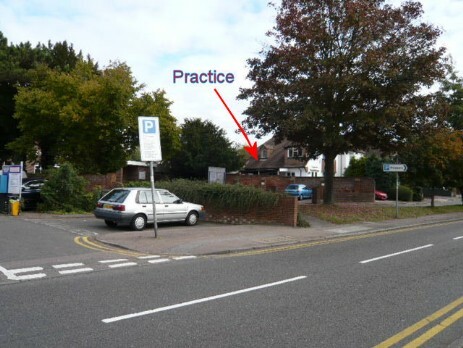 We are situated in the Cheyham Lodge Osteopathic Practice which is on the right before you reach the Sainsbury's Local and the roundabout. Please use the Pay & Display car park opposite Sainsbury's Local. As you leave the car park turn left and Cheyham Lodge is the first house after the Church At the time of writing 20p for the first hour and 60p for two hours. Patients whose mobility is severely restricted can be dropped off directly at the Practice in the service road. 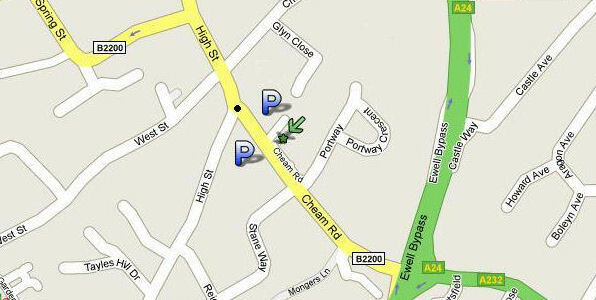 The Practice is only a short walk away from Ewell West & Ewell East railway stations.